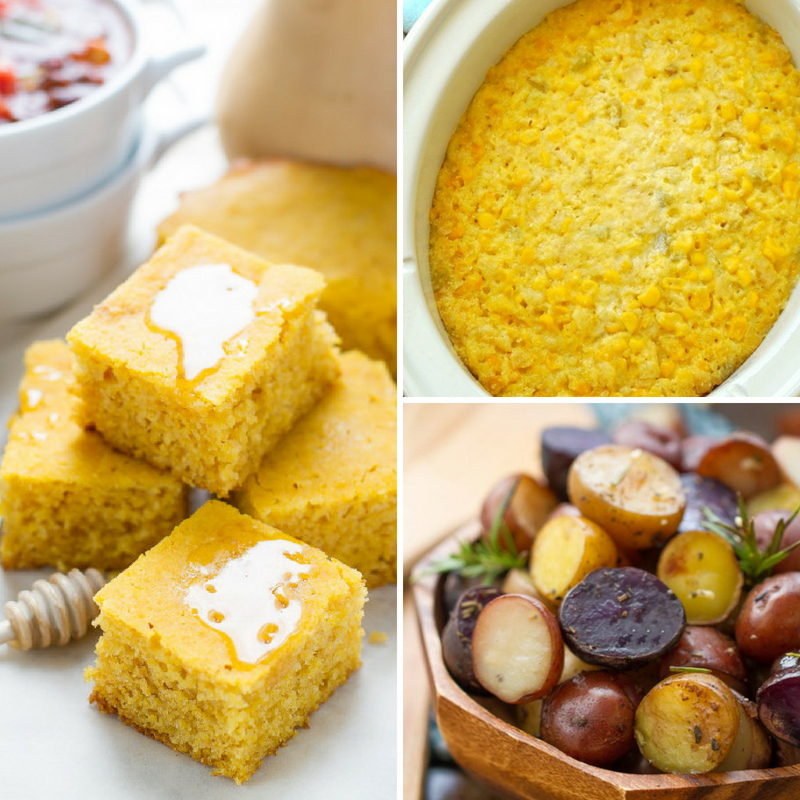 Check out these trusted and easy slow cooker side dishes to swoop in and complete your meal. 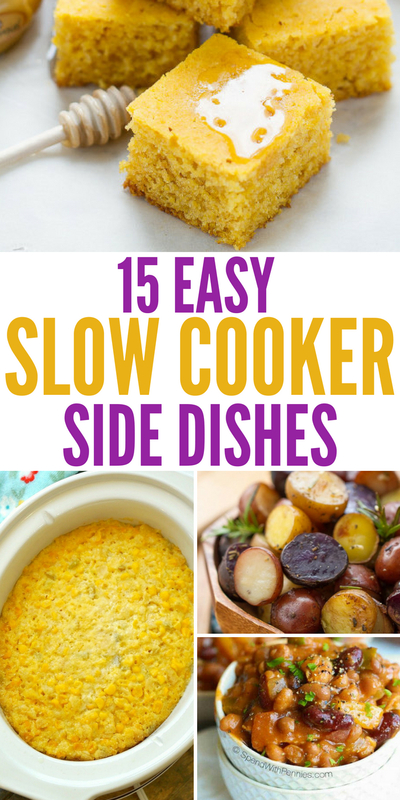 These slow cooker side dishes are tasty, delicious, and most of all easy! Sometimes I think it is fun when a good side dish can outshine the main dish, and these recipes do just that. Skip over a can of corn, and create a side dish that will leave you and your entire family reaching for seconds. Kid-approved and a breeze to make! Turn on and forget are what these side dishes are made of. A little prep and a few hours later, you have a satisfying side dish to serve up your family and friends. I love using my slow cooker for main dishes, but I also utilize it for sides. Perfect for holiday gatherings, parties, and weeknight meals. Trust me, you will love these recipes, we sure do! Make sure to look over these slow cooker drinks as well, they are great for parties and gatherings. Crockpot stuffing is a perfect dish to compliment chicken, turkey, or even pork. Great for the holidays or for those nights when you want a little bit of a creative side. Barbeque baked beans are a favorite in our home. Bold and zesty flavors, and a simple recipe that cooks away and fills your home with an amazing aroma! Beans always taste better the longer they cook. Yes, you can make mashed potatoes in the slow cooker! These are a really simple way to get those hearty and fluffy mashed potatoes, without the boiling pot of water! 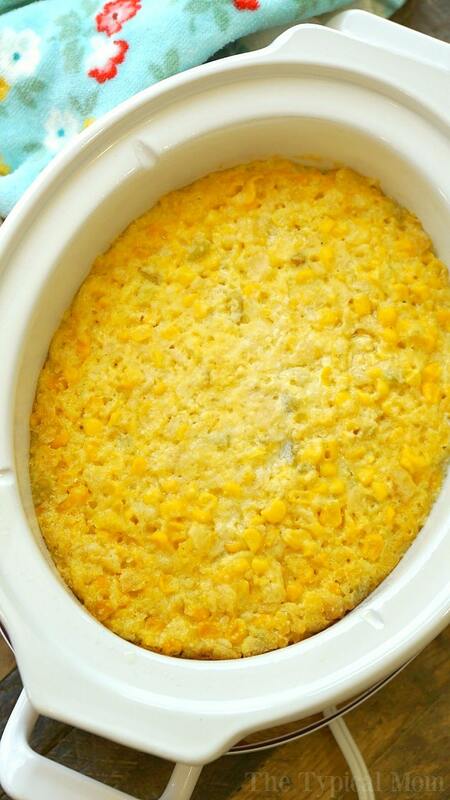 Crockpot corn casserole is great for the holiday season as well, or a weeknight meal. We have this in our rotation, and it is always so rich and flavorful. Orange glazed carrots give you that hint of sweet with your tender and flavorful sliced carrots. Kids and adults love these yummy carrots. Balsalmic brussels sprouts are a satisfying side dish that really adds a lot of flavor and dimension to your sprouts. Pineapple Crock Pot baked beans are hearty, savory, and a nice blend of sweet. Everyone in your family will love these tasty beans. Transform your sweet potatoes with this coconut pecan sweet potato side dish. This is a decadent and nutty side that is going to feel like a total treat. Perfect with some turkey or even chicken! Funeral potatoes are so delicious and are great for any day of the week. They typically were made back in the day for funerals, as they were affordable, hearty, and comforting. 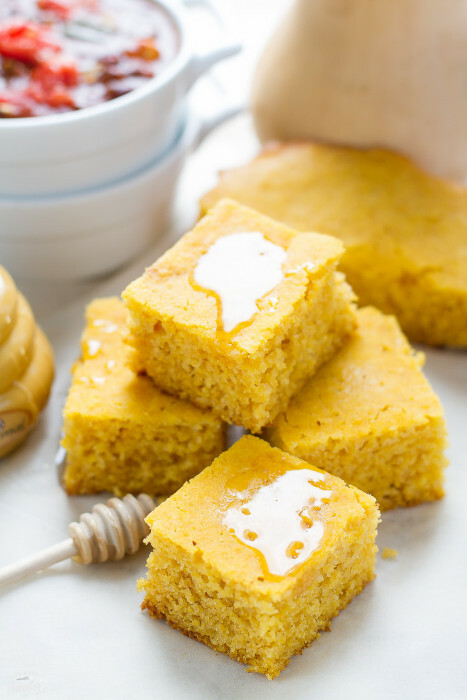 Butternut squash cornbread is tender, light, and full of fiber and flavor. Perfect to serve along with soups, barbeque dishes and more. Slow cooker baked potatoes give you the tender potato centers that are perfect for loading up with your favorite toppings! Did you know you can make rice in your slow cooker? This is a very easy recipe to follow that will give you that light and fluffy rice you are dreaming of. 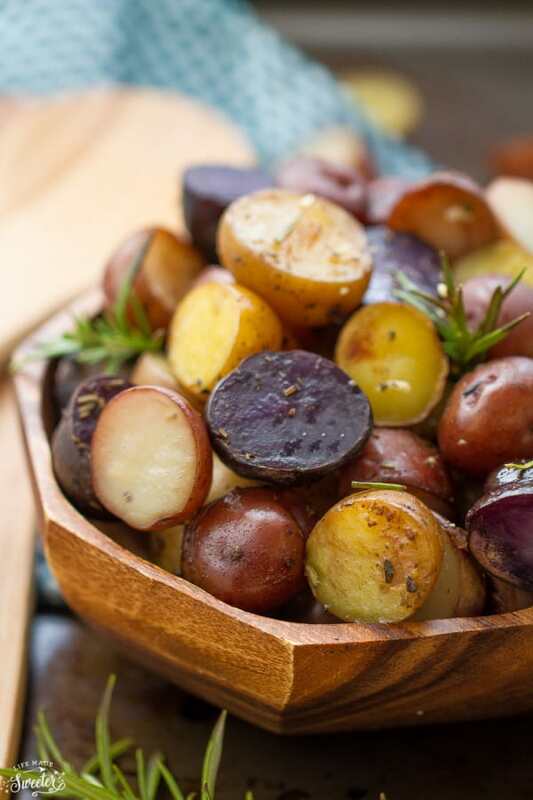 Garlic rosemary tri-color potatoes is a really colorful side dish that will dress up your dinner plates. Savory, hearty, and tasty as can be. Another big side dish for the slow cooker is these Au-Gratin potatoes. If you love flavorful sliced potatoes that are creamy, cheesy and full of flavor, this is your side dish. 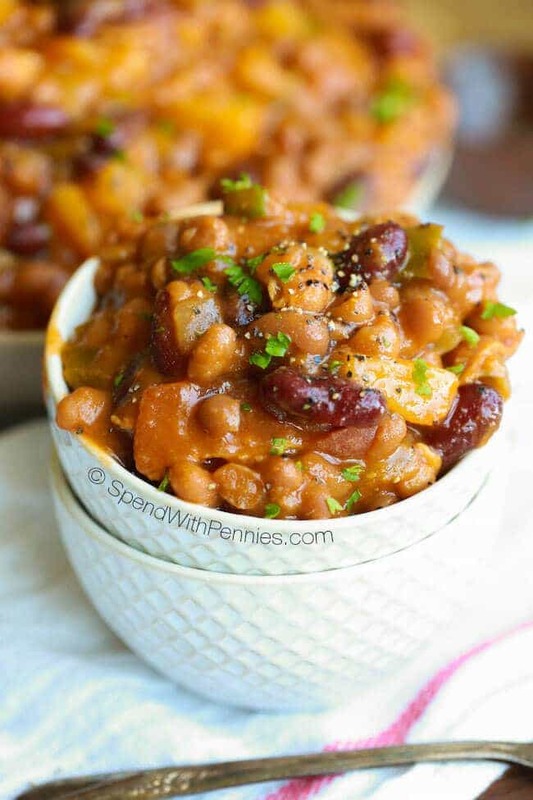 Crockpot calico beans are a really fun side to try out to switch things up. They are slightly sweet, savory, and a bit tangy. Some serve as a main dish but these are a great side for a family barbeque. 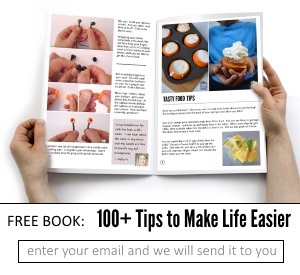 Plus make sure to learn all the different ways you can be utilizing your slow cooker. I share 15 ways you might not be using your slow cooker, and why you should be!